In addition to providing books at our partner clinics, RORKC handed out over 13,000 new books to kids throughout the metro this summer as part of the Childrens’ Reading Foundation’s READ UP! program, funded though a U.S. Department of Education Innovative Approaches to Literacy grant. 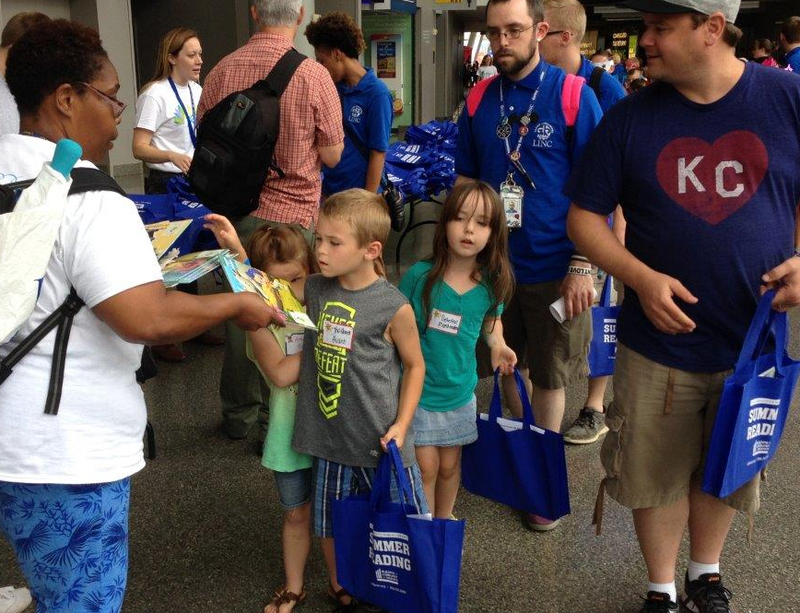 Books and brochures reminding students and parents to read together during summer break were delivered at Health Partnership Clinic, Growing Futures Early Education Center, Freedom School, and to the 1,200 children who attended Mayor James’ summer reading celebration at the Sprint Center.